William Lowell Hodge, 93 years old, passed away on March 24,2018, at Dorothy Love Retirement Community. He was born September 12, 1924, in Sidney, the son of Damon and Gladys (Long) Hodge Waler. On January 29, 1946, he was married to Rebecca Jane Hodge, who preceded him in death on April 26,2017. William is survived by a daughter; Prisilla Ann (Thomas J.) Reier, of Sidney OH; a son in law, Virgil E. Gibson of Quincy, Ohio, and five grandchildren, 15 great-grandchildren, one great-great grandson, and one great-great-granddaughter. A brother, Richard Waler, of St. Augustine, FL survives, in addition to several nieces and nephews and a special niece and nephew, Terry and Pat Stern. His daughter; Constance Sue Gibson, and his brother, Robert E. Hodge, also preceded him in death, along with a grandson, Rodney Reier,and his sister.Virginia (Waler) Stern. William retired from Bornell Supply Co., and also worked at Century Link as a contractor, in Lima, Ohio. He was a U.S. Navy Veteran of World War II, was stationed at the Naval Station 3149 Samal Island, Philipines Naval Base during WWII. He was in charge of the landing craft on the island. Bill was also a proud member of the VFW and American Legion, Sidney Posts. Friends may call at Salm-McGill and Tangeman Funeral Home, on Wednesday April 4th, 2018, from 11AM-12PM, with service at 12 noon. Burial will follow at Cedar Point Cemetery, Pasco, with Military Honors performed by the American Legion Honor Guard and the U.S. Navy Honor Guard. 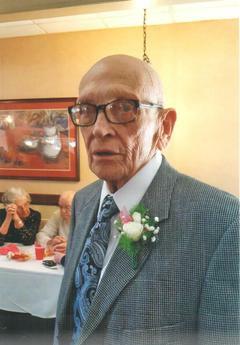 Memorial contributions may be made to Wilson Home Health/Hospice, or Catholic Social Services, both of Sidney, Ohio.